Women have been important players in the recording industry from the very beginning, but not until 1996 did they out-chart their male competitors and pull ahead in the race for hits. Go, Girl, Go! provides a nearly 100-year history of women in music, beginning with Lil Hardin Armstrong and Billie Holiday, and continuing up to present-day artists such as Britney Spears and Norah Jones. 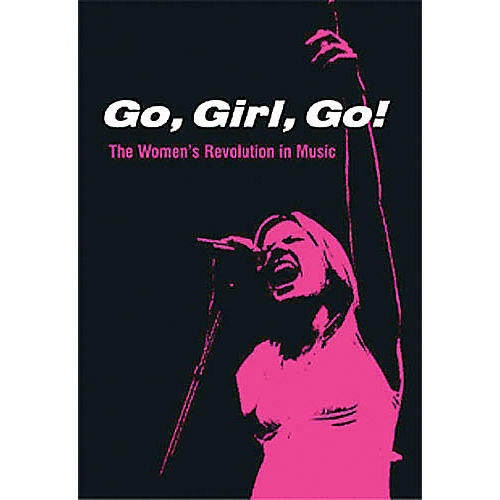 The book features a thoughtful analysis of the 1996 revolution, along with interviews with artists such as Shania Twain, Pat Benatar, Brenda Lee, Bonnie Raitt, Melissa Etheridge, Ann and Nancy Wilson, Tiffany, and Tammy Wynette, and executives such as Garth Brooks' ex-manager Pam Lewis, BMI head Frances Preston, Stax Records co-founder Estelle Axton, and Tracey Edmonds of Yab Yum Entertainment.